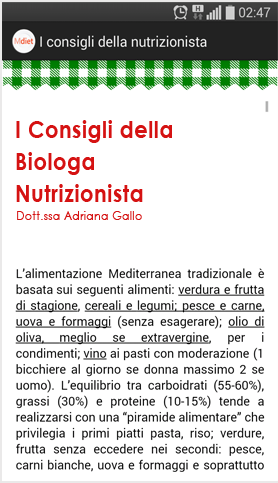 The health properties of foods in Traditional Recipes: Mediterranean Diet is finally on our table. 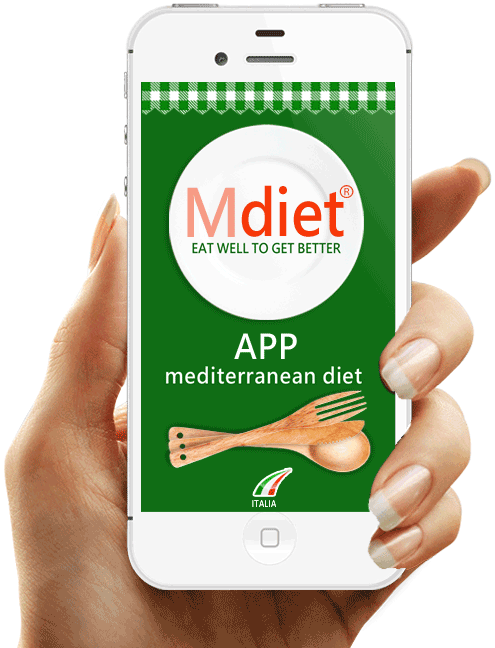 Eating of Healthy Food, smile at the table and keep moving are the three main ingredients of the Mediterranean Diet. 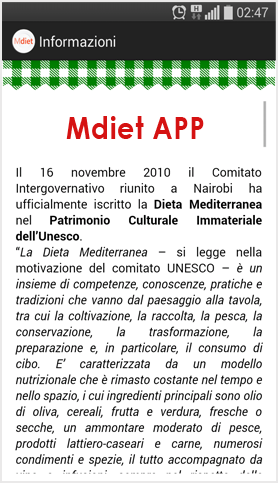 "MDiet" is a simple and revolutionary Application and it is studied by experts to bring to the palm of your hand the vision of the United Nations who look to healthy eating as a form of greater protection of our health and to recognize the Mediterranean Diet as Intangible Heritage of Humanity (UNESCO 2010). 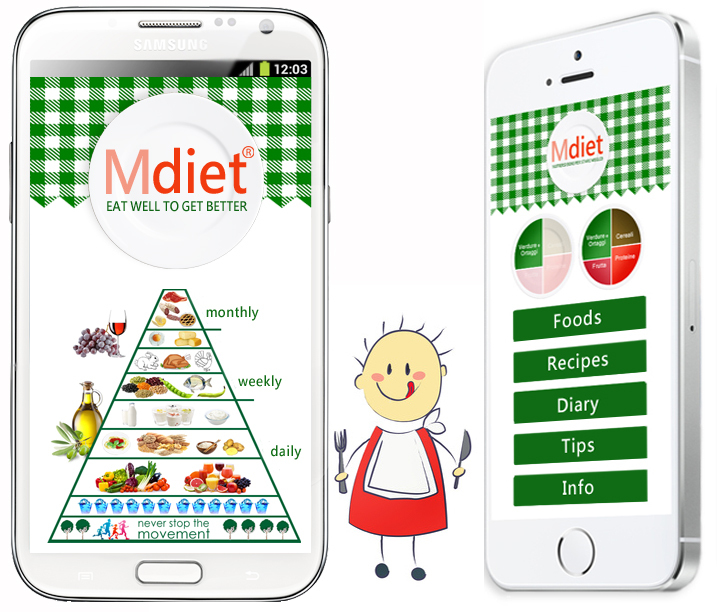 “MDiet" is the first APP that provides recommendations to counter, thanks to proper nutrition, the non-communicable diseases such as Gluten intolerance, diabetes, hyperthyroidism, hypertension, obesity, irritable bowel, cholesterol, cardiovascular diseases. 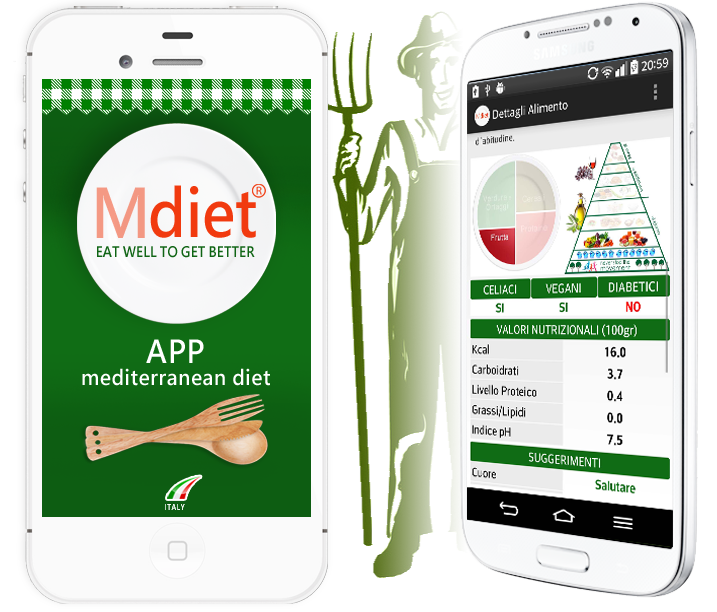 As dictated by the United Nations (non communicable diseases - June 2014), "MDiet APP" is concord with the policies of the "Sustainable Food Governance - UN". 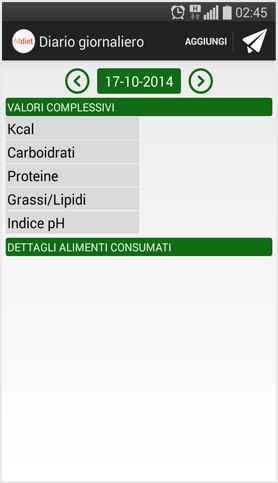 "MDiet APP" provides the “pH” values of food (potential Hydrogen); it is considered important to maintain the health because, thanks to its scale of values, you can identify the acidifying or alkalizing effect of foods. 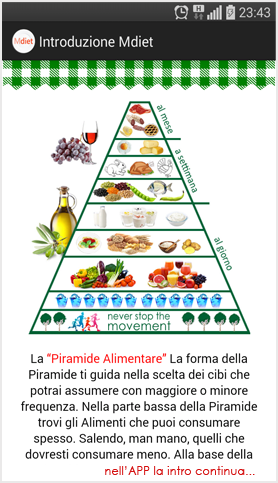 With the word "Diet" the physiologist Ancel Benjamin Keys has identified not a crash Diet as erroneously imagined, but a "healthy lifestyle". 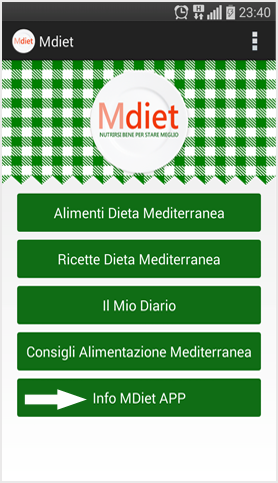 "MDiet" is the precious APP that gives you tips and suggestions for the correct and healthy Diet of the Mediterranean Diet aimed at your well-being. 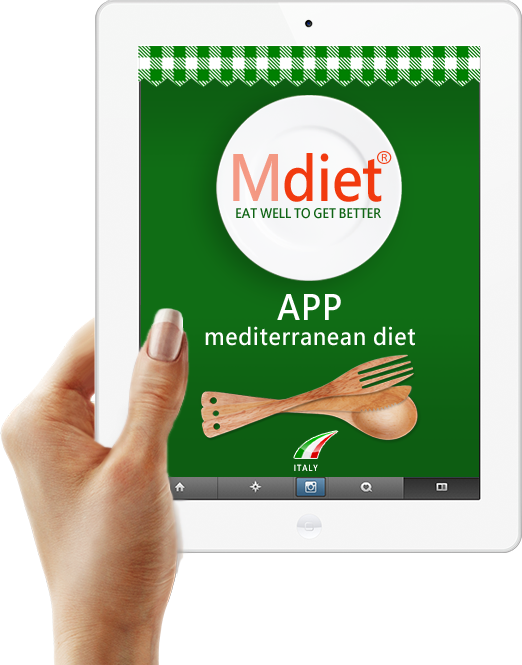 Over 400 beautiful images with attention to detail to help you to identify and recognize easily all foods of the Mediterranean Diet. 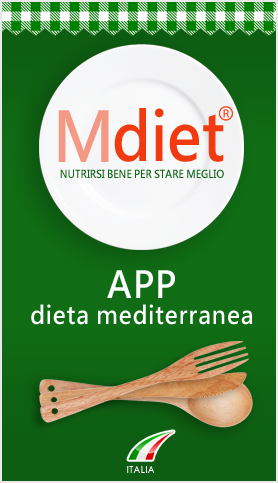 "MDiet APP" transmits to you the ancient tradition of Mediterranean cooking with its "Recipes", the result of careful and scrupulous research rooted in the history of "Coexistence Mediterranean". 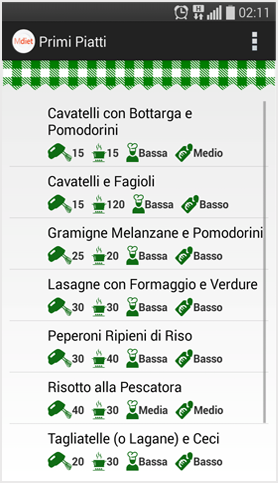 They are always up to date thanks to the contribution of the most renowned Italian Cooking School. 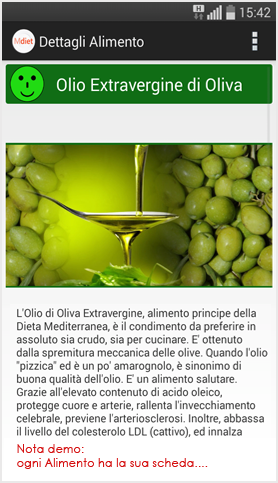 Recipes, Healthy food of native lands and their preparation, are the only way to taste at the table the "Mediterranean Diet". 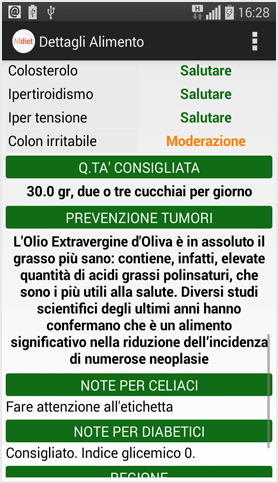 Among functional foods typically used in Mediterranean cooking there are the Herbs and Spices that, in addition to enhancing flavour and aroma of foods (like salt), act as the best natural antioxidant. 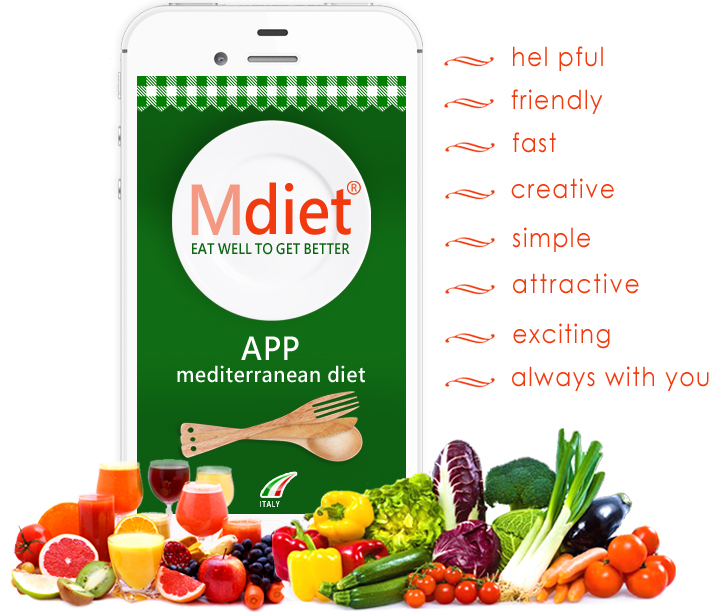 For this reason, the "MDiet" App dedicated a deserved space in this gastronomic element that is one of the secrets of the Mediterranean Diet. 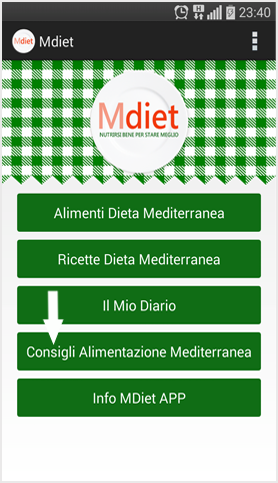 "My Diary" allows you to write down the food path daily, weekly and monthly, and send it, with a simple click via e-mail, directly from your smartphone, to a specialist for advice or suggestions. 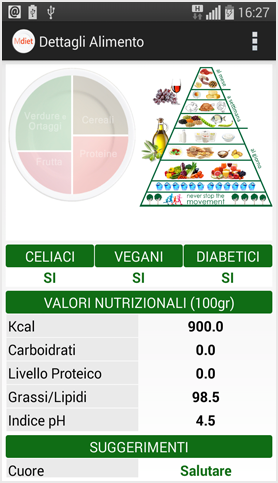 "MDiet App" offers you a lot of suggestions of Biologist Nutritionist, useful to educate your eating habits because "... our health begins at the table". 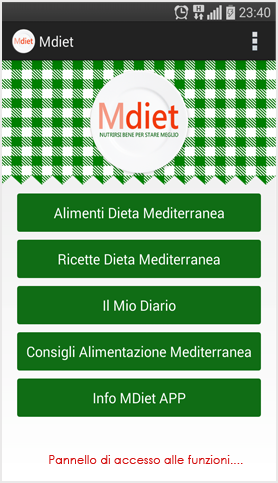 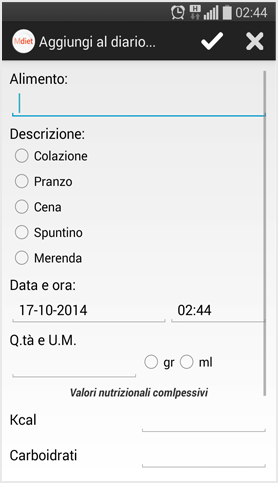 Thanks to this important contribution of "Mdiet” APP will understand that the Mediterranean Diet expresses, on the whole, a food culture attentive to the quality of foods and their traceability, but also the simplicity of their preparations, and it is the frugality that we inherit from the rural world which represents the heart of the Mediterranean Diet. 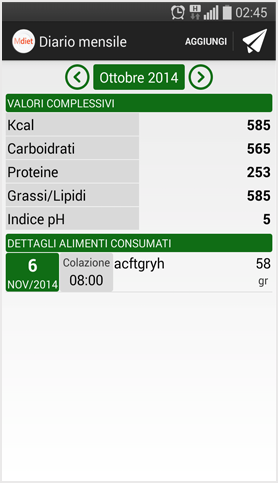 The path of "MDiet" App is logical and easy to approach. 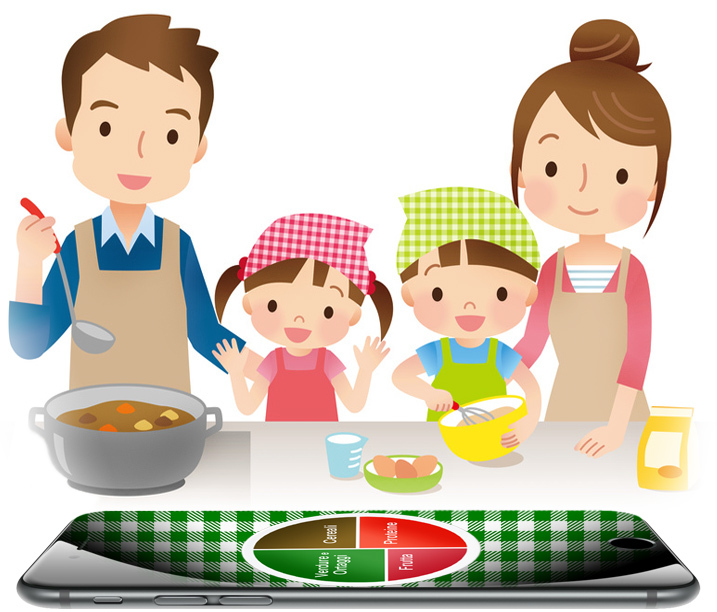 All foods are organized by categories (Cereals, Vegetables, Fruits, Legumes, Fish and Seafood, etc.). 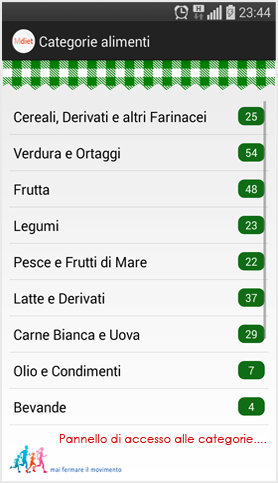 Once logged in a category, you can choose the food and see images, details and suggestions. 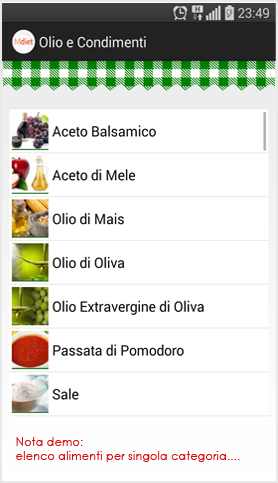 These Screenshots are examples of the more than 300 foods of the Mediterranean Diet available in the APP. 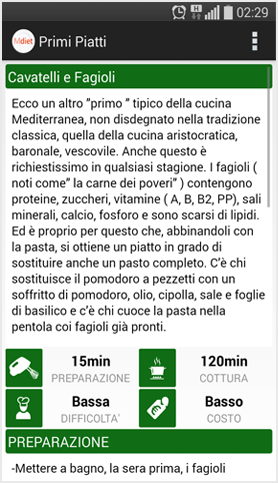 You will see how much care has gone into its making and, in particular, in the "Recipes of the Mediterranean Diet", the real treasure of traditional Mediterranean food: entering in the recipe of interest, you'll not only know the procedures and the preparation time but, with a simple click on the photo of each ingredient, its specifications. 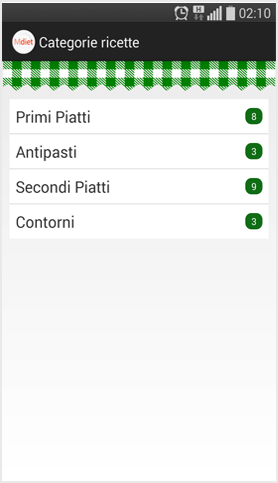 The APP is constantly updated and you will feed the recipes dedicated to the tradition of the Mediterranean Diet cured by the best Italian Cooking School. 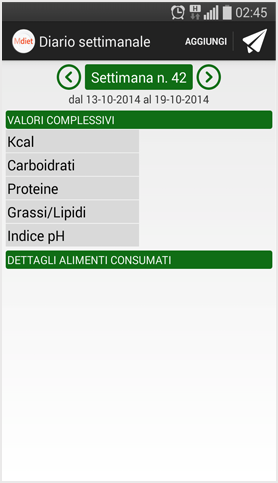 Screenshots are also in a graphic allusion to the pages related to the Biologist Nutritionist's advice and the "My Diary" through which you can send your daily, weekly or monthly Diet to anyone you want to. 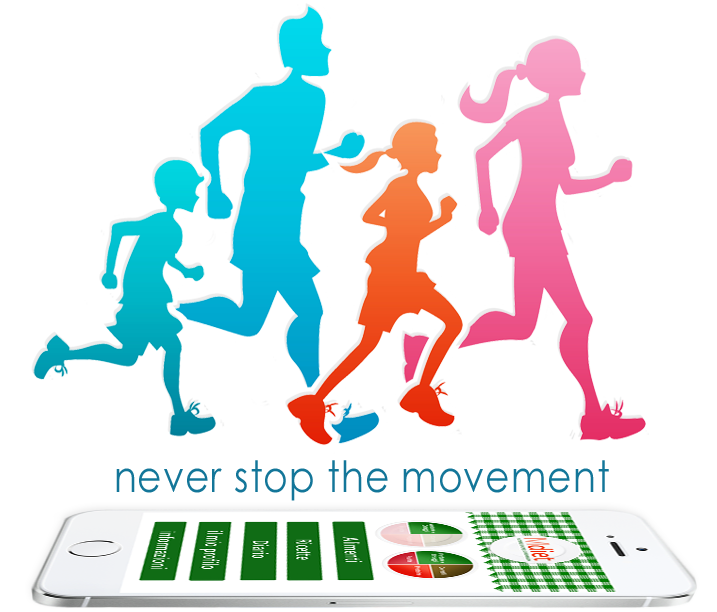 ... but these are just some of the innovations that we will apply for you.